Lilli le tue foto sono proprio belle! Mi paicemoltissimoil selfie appena sveglia.Senza trucco stai benissimo! Quante belle foto Lilli, come mi piace la tua camicia con le bocche!! So many great pictures of you, thank you for sharing theses special moments with us. I also love roses, very elegant flowers. The Minnie Mouse slippers are so cute. I also like girls stuff for homewear. And you look powerful at your workout. But my absolute favorite Foto at you, is the friday morning selfie. You look so fresh, youthful and beautiful at this picture. Love it!! Great compilation of a month well spent! I still can't believe it is June already! I love your Insta photos! It's so cool that you do kick boxing as well, I'd love to try that! Congrats on becoming a personalized stylist! that course in personal branding and Image creation must have been pretty interesting! I'm such a foodie, I loved your food pics. all of selfies are adorable, especially that Friday morning one...your eyes look enormous! Quante belle foto Lilli! Un bacio tesoro. Congrats for the course in Image Consultant and Self Branding, you can do blogging to another level, I'm happy for you! The collages looks different, much better, include the same beauty of your, your sporty side and so on. Che carine le pantofole di Minnie! E quel gelato.....!!! From the looks of it, May was very good to you Lill :) Congratulations on becoming a certified personal stylist! That's awesome. Have a wonderful weekend sweetie! 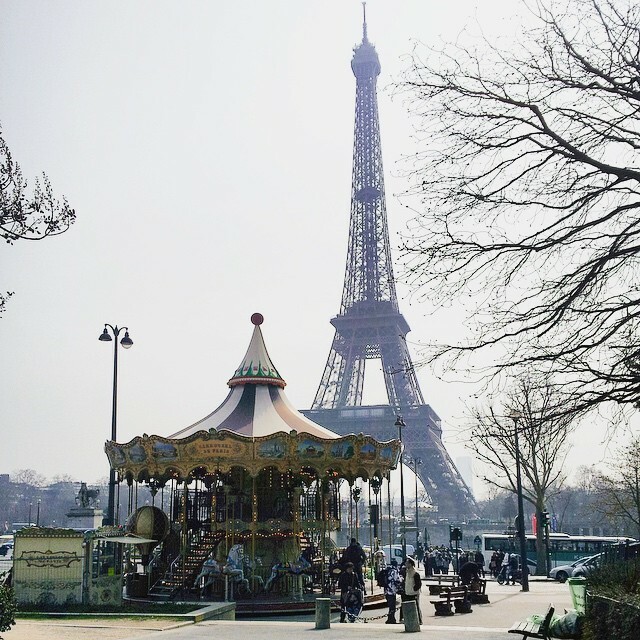 Love your May IG recap, Lilli and looks like you had a great month! And I must say you have very pretty eyes, it's just mesmerizing! Io mi ripeto sempre una cosa: se una riesce ad essere cosi bella in un primo piano vuol dire che lo è proprio. Davvero. Io in un primo piano sono da film horror. Giuro. E poi in te non manca mai quel sorriso cosi bello che ti rende ancora più speciale. 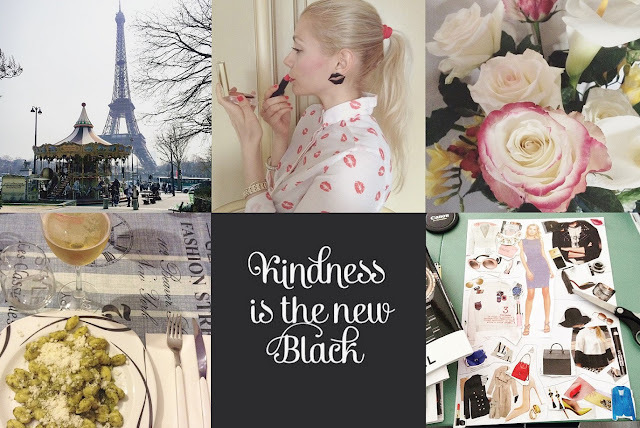 magari kindness fosse the new black; penso che staremmo tutti molto meglio. In ogni caso davvero tanti istanti favolosi. E' bello vedere la vita, che come pezzetti di un puzzle, prende forma. Me too, I wish I was in Paris. Roses are my favourite flowers too. It's summer time so it's time for ice cream! Love ice cream. Enjoy the weekend Lilli. These were sucn great snaps of your month! :) I can't believe that the strawberry and cherrsy season has started- it is definitely my favorite time of the year! mmm I am craving some cherries right now! What an eventful May for you, Lilli! I still miss out on some photos on your IG so it is great to see this summary put together. My favourite picture is the side view of you using the lipstick. I love your ponytail there. Who takes your photos for you? The flamingoes in the wild enthrals me as we could only find flamingoes in the zoo and bird park here. The mini ice cream is so cute. It is good to indulge once in a while I see that you are also into healthy lifestyle with your gym and kickboxing photos. So cool that you kickbox! Image consulting and self branding sound like a really great course to attend and so cool that you are certified! Are you a full time blogger now? I love that blogger at work shot. ...parigi...adoro parigi!! !...adoro pure le ciliegie!! 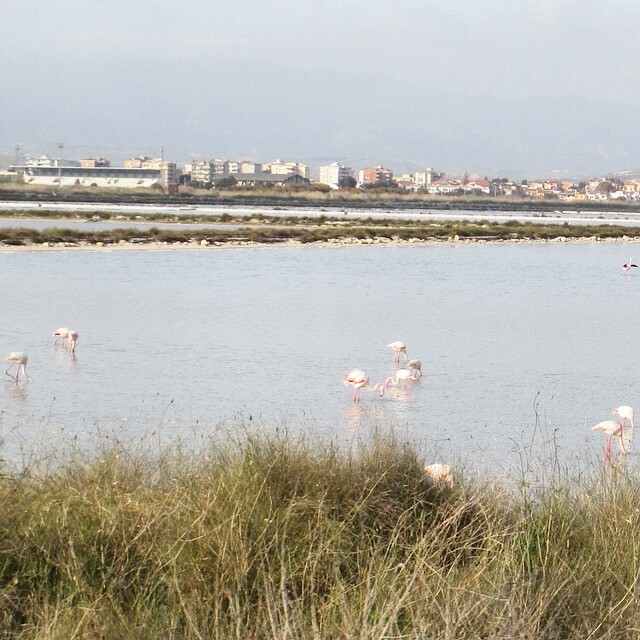 !...bellissimi i fenicotteri!!! Che belle queste foto e che meraviglia quel rossetto rosso! Lovely photos sweetheart! Is your real name ludovica?? Such a nice name! !